Sig Kufferath was born in Honolulu, Hawaii, on February 16, 1911. One of eleven children, Sig was of German/Japanese descent. A track star in high school and at the University of Hawaii, he began to study jujitsu with Master Okazaki in 1937. A serious martial artist, Sig practiced six days a week at the Kodenkan. 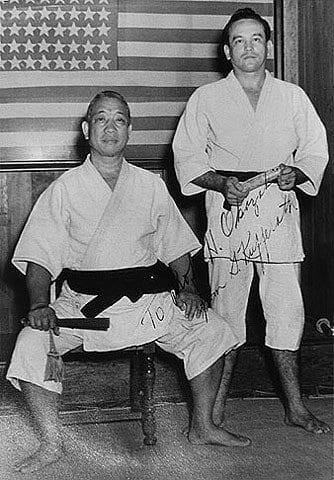 Master Okazaki promoted him to black belt in May 1941, and by the following year Sig started a school of his own. In addition to his classes, Sig taught martial skills to members of the Hawaiian Police Department. He also trained United States forces in hand-to-hand combat during World War II. jujitsu and restorative arts of Danzan Ryu. He was later promoted to Shichidan and made Professor by the American Jujitsu Institute in 1951, after Master Okazaki’s death. In 1960, he traveled to California and soon afterward opened his school called Nikko Kodenkan in Mountain View. He taught jujitsu classes an average of four nights a week. He also taught classes in self defense for women. Sig also studied other martial arts and holds the rank of aikido nidan and judo nidan. An accountant for Dole until his retirement in 1976, Sig lives in Santa Clara, California. Professor Kufferath joined the American Judo & Jujitsu Federation in 1983. In the Spring of 1988, the AJJF awarded him the title of Shihan. Professor Kufferath was the USA advisor for the Kohusai Budo Renmei in Tokyo, Japan. Professor Kufferath was active in many martial arts organizations. He was a founding member of the Kodenkan Danzan Ryu Jujitsu Association and the Kilohana Martial Arts Association. 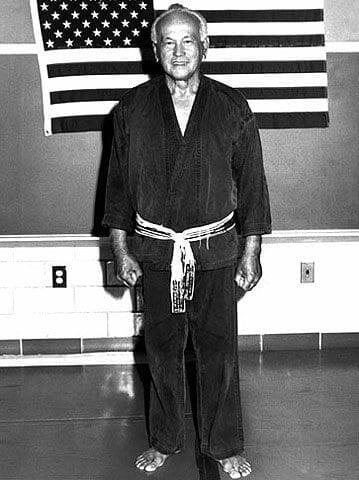 Sig dedicated his life to the perpetuation of Danzan Ryu Jujitsu and is respectfully recognized and honored as a Judan by the American Jujitsu Institute, Kodenkan Danzan Ryu Jujitsu Association, Jujitsu American, Shoshin Ryu Yudanshakai, Kilohana Martial arts Association and the Kodenkan Yudanshakai. Professor Kufferath passed away at his home in Santa Clara, California on May 7, 1999 at the age of 88. Additional information provided by Bob McKean, July 10, 2008.